This is the summary of consumer reviews for Solvit PupSTEP Plus Pet Stairs. 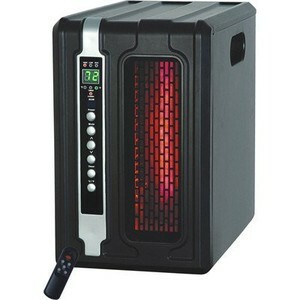 The BoolPool rating for this product is Very Good, with 4.40 stars, and the price range is $33.74-$52.12. Solvit PupSTEP Plus Pet Stairs are an affordable and safe way to help pets reach their favorite places like beds, windows etc. Owners like the attractive and sturdy design with neutral colors. These steps are light weight and easily portable. They can be cleaned easily with soap and water. There is no assembly required. It is simple to set up and folds down quickly for easy storage. 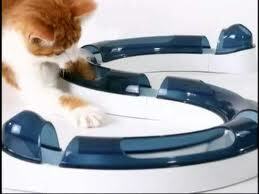 They come with safety side rails so that pets can climb up and down safely. These stairs are meant for small to medium sized dogs only. They have narrow steps and can be unsafe for bigger dogs. 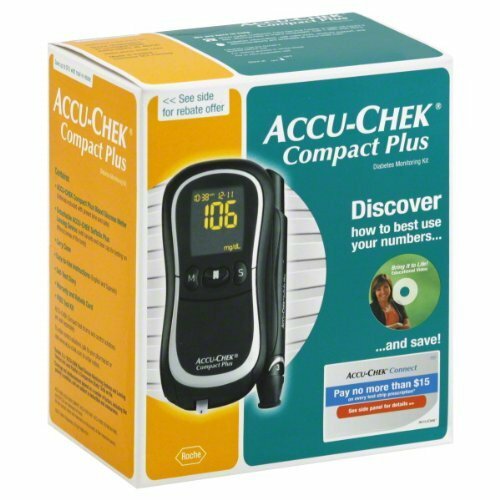 Overall, most owners are happy with this product and recommend to other people. I bought the stairs for my furkid and the item comes well structure. This item was shipped pretty fast and the quality is very durable. Holds up well, no sharp edges, easy for my dog to use. I'm going to return this item!. Received the item quickly and it was ready to use. AND it was "Made in the USA"--kudos to Amazon-we need more items like this. This item is the best value on the internet for your aging pup. They clean up well, and are tall enough for them to see out the windows, and also get up on the bed, as well as our recliners in the living room. 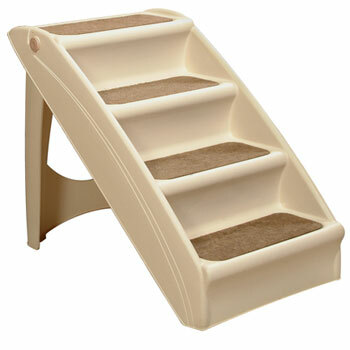 Finally found pet stairs that are well made, requires no tools or lengthy setup and is inexpensive!. Nice steps, works well, easy to set up. The steps work well for our 10 lb Dachshund. The steps are very sturdy and work well once your dog is trained to use them. the stairs for my dog works well although my bed is a little high it still works out for my dachshund. Works great for my small dog! These steps work perfectly for my Chihuahua/Min pin mix. Not very satisfied with the condition of the product on arrival, but the actual product works well for my senior dog. It works great now and very handy for our dog!! It's worked well for the 30 days that I've had the product. No more hurting herself from jumping! This bed was too tall for him to jump into. He's trouble jumping on the bed at times and the steps are great for him to climb up to it. She can no longer jump and now with the steps she's sleeping in bed with me once again. I got these steps for our cocker spaniel who's hurt herself jumping off our bed which is pretty high. Also keeps him from messing up his back by jumping off the bed. pets to climb onto the very tall family member's bed. After a couple days he now exclusively uses the steps and no longer tries to jump up. They were so tiny that there was no way for them to jump up to chairs, beds, etc (or jump down for that matter) without hurting themselves. Happy cat sleeps on bed most of day, now if I could just get him off to make up the bed. He used to try his hardest to climb up on our bed, but had a very difficult time due to his age and the bed's height. Bought this for my son's cat who at times had difficulty getting up on his bed. Our older cocker, who can no longer jump on the bed, can easily navigate the stairs to get into bed. She uses them every time to get up on the bed. He'd sit by the bed and cry. Solution, offer them stairs to the bed. So bought him this one, good height for a high bed, and he loves it. They look nice, they're very sturdy, and they fold flat for storage under the bed or for cleaning. We've a very tall bed and our three little guys can only get up on the bed with steps. The steps are sturdy, lightweight and well made. My bed is very high and with the steps, Millie can get on the bed by herself. It's sturdy, lightweight and the perfect height for my bed.I highly recommend this product. Pebbles can get on my bed much easier with the steps. she's around 6.5 pounds, so very sturdy and good size steps. However, the steps just weren't high enough to reach the top of the bed. Going from a standard bed to a very tall Tempurpedic bed created a height problem for our four dogs. These steps a simple to set up and best of all EASY TO FOLD UP WHEN YOU WANT YOUR LITTLE GUYS OFF YOU BED OR SOFA. With a heavier (big boned :) ) cat the jump on and off the bed now sounds painful! So far the steps have held up to three twenty pounds cats going up and down them, has stood up to cats racing on them, cat fights and it's even been used as a scratching post. 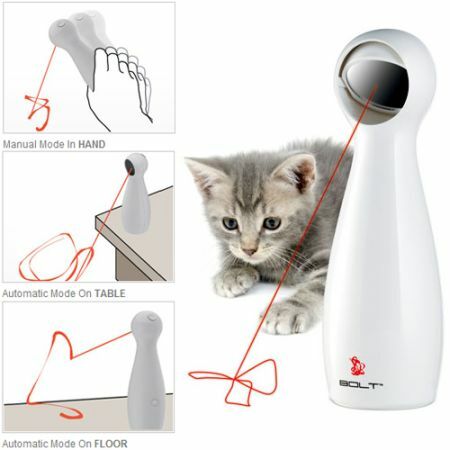 It did "solve" my cat's problem! I ordered this for my cat who's a little trouble jumping onto his favorite napping spots and for when we travel and stay in hotels so he can access the bed. 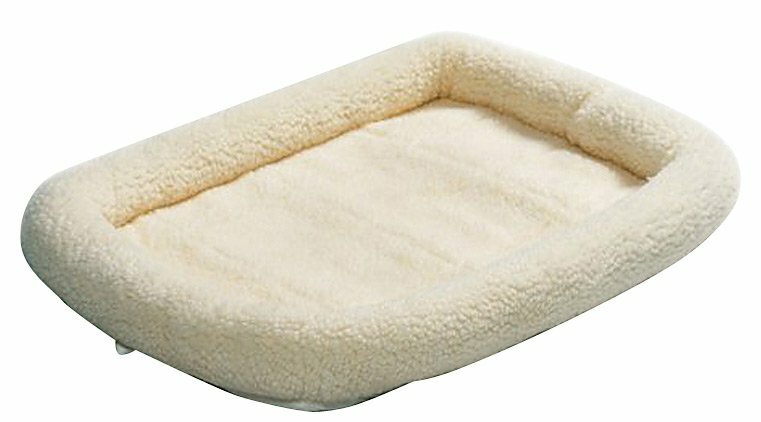 This's a really well made product and my old crippled cat took to it right away to get on and off the bed where he sleeps. My cats are using the stairs all the time to get on and off the bed. Even though I'm buying it for my three senior cats, I knew that all the cats will end up using it. I highly recommend it for cats or dogs. for the record our cats loved them!! Our two dogs, one a 18 lb dog, and the other 30 lbs (both beagles, different sizes) took right to these stairs, and are much more comfortable getting into the bed, and down from the bed. I've a small princess dog and high bed. We bought a new bed and because of the new hight our 11 year old dog could no longer get on the bed by herself. 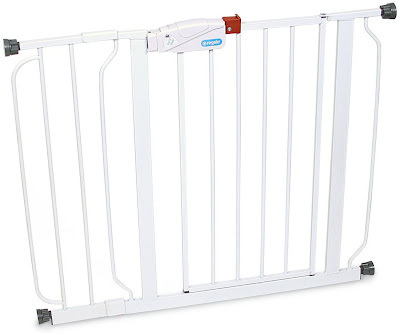 We bought this to use so our dog can get up onto our bed. My dogs love these stairs. This product is a life saver, My dog can now get on the bed without crying for help. They're pretty compact but to save space we've them turned sideways against the bed and our dog has no trouble getting onto the bed that way. Really good for small dogs or dogs with back problems that can't jump onto a high surface. Our dog no longer wakes me up at night to come up to our bed. The color is great- matches our bedroom perfectly, and I love that it folds up and stores very well right under the bed. Dog still getting use to it, a little bit diff than carpeted steps. Unfortunately the steps are small with a very steep incline so the little dog ends up carefully stepping down until he reaches a tipping point. I've a very little dog - under 5 pounds. This's still not a big problem because my dog can "leap/jump" a little from the top of the 4th step onto the bed. My dog didn't do steps and the first time his feet slipped off the edge and he was afraid to use it for a little while. My dog loves the steps and I like the product. These steps, if anchored correctly, will easily accommodate a much heavier dog. These steps were the perfect solution to his problem! Enclosed steps (siderails) safer than open steps. Tried the 4-step Doggy Steps from the living room couch and it worked fine. My cats love the spongy step pads and playing underneath the steps too. Really nice and sturdy step assemblies and stow away easily. These steps are very nice. The 31" measurement is the step distance on a slant from 1st step to top. CONS: Very low-pile carpeted steps aren't as soft and slip-resistant as the sheepskin-covered Doggy Steps. and don't stick well to the steps. The steps will be easy to clean and light weight for me and nice that they fold down to slide under the bed for storage if needed. The steps are pretty narrow and my 15 lb dog had trouble stepping down. My dog loves these steps, thanks! The steps are sturdy , but I'd only recommend for dogs under 30 pounds. I purchased these stairs so my dogs can easily climb up the steps without hurting their backs from jumping onto the bed. The steps are very small, so I'd recommend only for dogs under eight pounds. After looking at the other reviews, I can see why these steps may not be ideal for dogs with really short legs as the steps are fairly small. The steps are space just rite for any size dog. I realize the step can't control the dog. I wouldn't use these steps with a dog bigger than mine. We've a small dog, the steps work great in ensuring that there's a safe way for our dog to get up and down from higher living areas. It seems to work best on dogs 25 lbs. 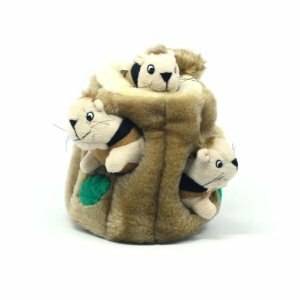 A great aid for little dogs with problems. My little dog learned to use them in minutes. It's ideal for small, light weight dogs and folds nicely up to go under the bed. Height is perfect for helping dogs get into cars, or up on beds and couches. These stairs are perfect if you've small dogs (not sure for large dogs as I don't have one). I recommend this product to everyone who's a small dog. this product is good for small dogs only! These steps are perfect for anyone that's small dogs. If you've a puppy or a small dog these may be well worth it but I don't think they're sturdy enough or large enough for a large or medium sized dog to feel comfortable.